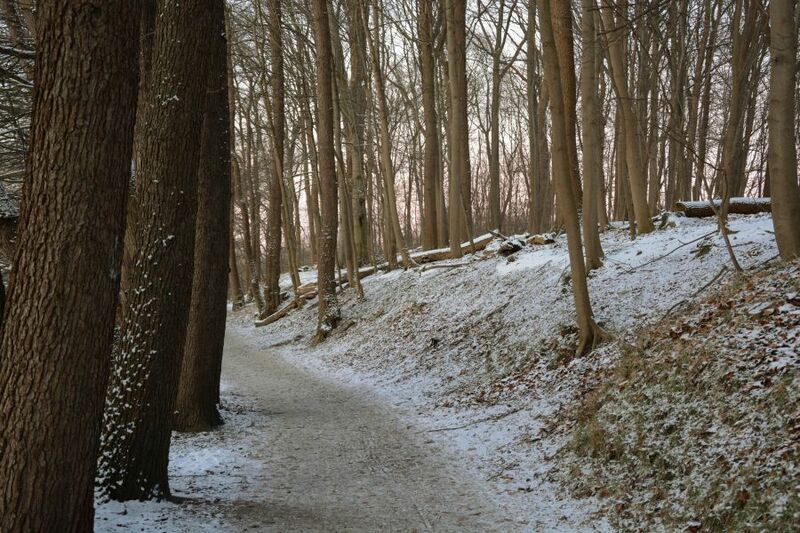 Here is a photo I shot during my winter hikes in Reinfeld. I did hike so much there that I am actually not sure if there is still a path where I didn’t walk. I often use Google Maps to check out where I could go hike, but I have seen a lot around the town, I hiked in all directions. The result is that I have tons of photos, that I probably never will finish to upload, but this is not too bad. Sometimes the weather is so bad that you don’t go out to shoot new ones, if that happens, I can fall back to these photos and upload them. I shot the photo above a month ago or so. Lovely composition! There is something about tree trunks and a winding path that always speaks to me. Nice shot! I take batches of photos too for the same reason. Sometimes I can’t get out because of weather … sometimes, I’m just not up to it. It’s good to have a reserve to work on.